Japanese Prime Minister Shinzo Abe will press ahead with a planned tax hike next year as he looks to take advantage of an economic recovery to start tackling the country's runaway government debt. Paid by consumers when they buy goods or services, the country's consumption tax will be increased to 8% in April 2014. If needed, the government has the option to implement an additional increase to 10% by 2015. 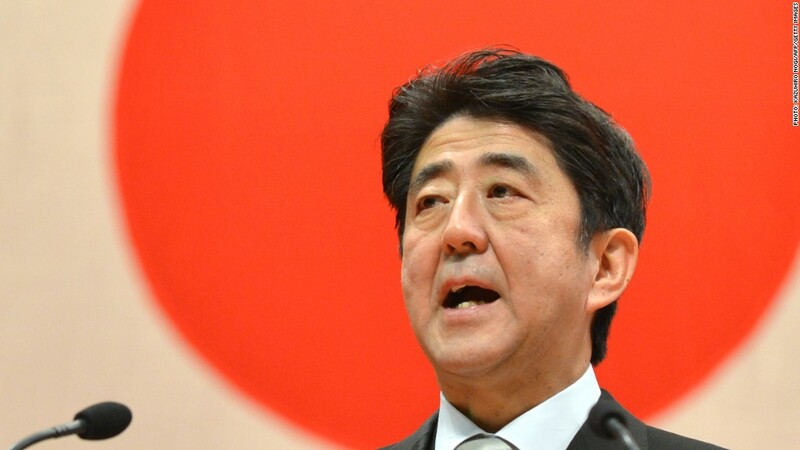 "We have no time to waste to secure the financial resources for sustaining a stable social welfare system and rebuilding the government finances," Abe told reporters on Tuesday. In an effort to soften the blow, Abe also said he would draw up a new economic stimulus package worth $50 billion by early December. The plan will include funding for roads and transportation, with an eye on preparing for the 2020 Tokyo Olympics. Money will also be allocated for disaster area reconstruction and an initiative designed to encourage women to enter the workforce, according to local media reports. While that spending should help the economy, it will dilute the impact of the tax hike on the debt pile. That has critics worried. "Today's decision may not be as unequivocally positive as generally thought, as the government's credibility is still at risk," analysts from Capital Economics wrote. Abe said he was aiming to halve Japan's primary budget deficit by 2015 and deliver a surplus five years later. Japan has been mired in a malaise brought on by falling prices and a strong yen for years. But the economy's prospects have brightened significantly since Abe announced fresh spending by the government and encouraged the central bank to unleash a tidal wave of asset purchases. The gambit appears to be paying off. The latest quarterly Tankan survey, which surveys companies from across Japan, showed Tuesday that business confidence is at the highest level in years. But the third pillar of the so-called Abenomics plan -- structural reforms -- has been tougher to implement. Already there are signs of stalling momentum, although the tax increase shows Japan may be turning over a new leaf. -- CNN's Yoko Wakatsuki contributed reporting.